With Brad Davis' Flatpick Jam set, you are once again never without a jamming partner. 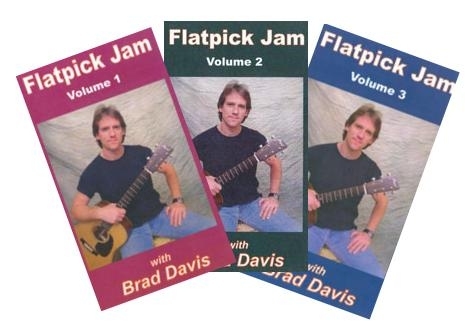 This six-hour session is packed with 33 flatpicking jam favorites. Brad plays each tune at four different tempos (slow, slow/medium, medium/fast, and fast) so that you can work on your tone, timing, note clarity, and fluidity at the slower tempos and then work to develop your speed at the higher tempos.